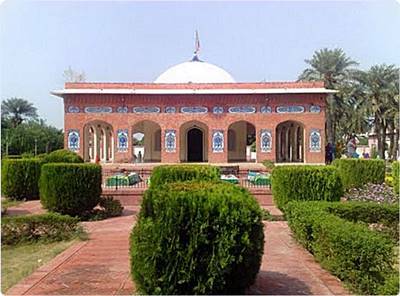 Waris Shah’s Urs happened last week (Sept 15 – 17) at his native village Jandiala Sher Khan, which is attended by lovers of Punjabi and Folk music across Pakistan. Waris Shah’s name has adhered to his classic poem Heer Ranjha so closely which is evident by the word ‘Heer Waris Shah’ that is recited and loved in Punjab. Iqbal Bahu has gained wide popularity as one of the best singers of Sultan Bahu’s Kalam. His singing of Waris Shah’s heer and Saiful Mulook has been extremely popular in Pakistan. Download Kalam of Heer Waris Shah in MP3 in voice of Iqbal Bahu. 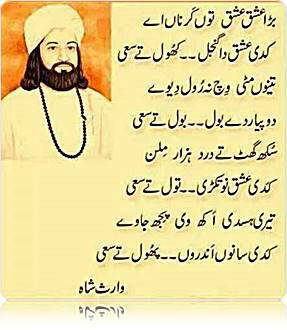 Below is a beautiful Punjabi poem by Waris Shah. Tu Smajh Menu Anmol Te Saii. Next story The Martyrdom of Imam Hussain R.A.